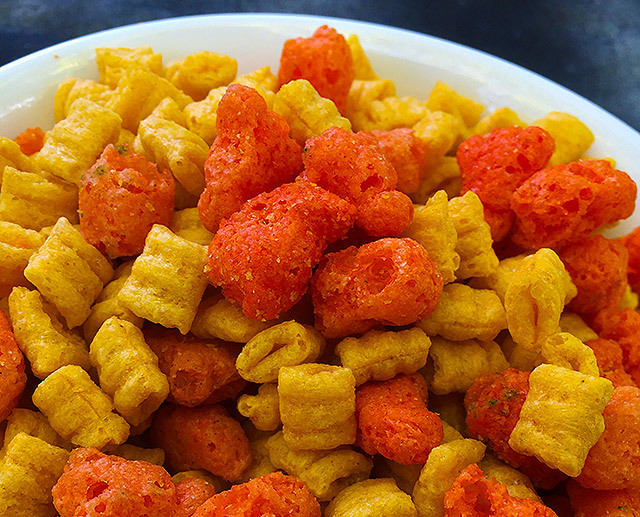 2015’s Best Halloween Junk Food, Part 2! As the Halloween season creeps closer to its conclusion, you may need a little pick-me-up to keep your spirit in check. Easiest solution: Eat a buncha junk food! It’s been an incredible season on the spooky food front, as I’ve evidenced many times over the last few months. Here’s another batch of this year’s best Halloween junk food, waiting to be hunted and purchased and devoured and excreted. 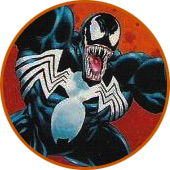 Halloween Crunch has been around for almost ten years now, leaving me with the sad realization that I had no good reason to write more about it. 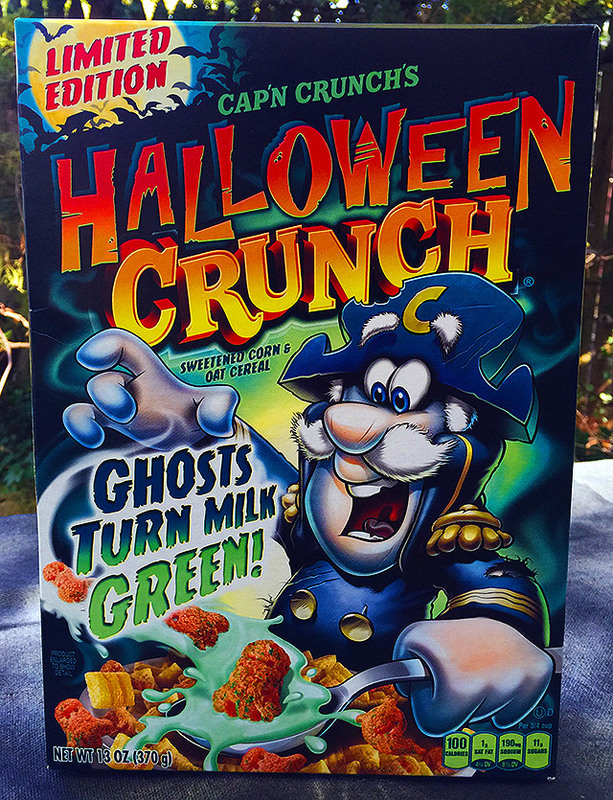 What’s worse, the cereal spent the previous several years repeating the same box design, making longtime Halloween bloggers like me cry real tears over having nothing new to report. Well, this year is different! While the cereal remains unchanged, they finally updated the box. Guys, they swung for the FENCES with this one. It’s by far the best-looking of this year’s Halloween cereal boxes, so dark and so foreboding that I almost can’t believe Quaker Oats signed off on it. A fortuitous stop at a New Jersey toy store left me with just enough ammunition for another spooky-themed edition of Five Random Action Figures. 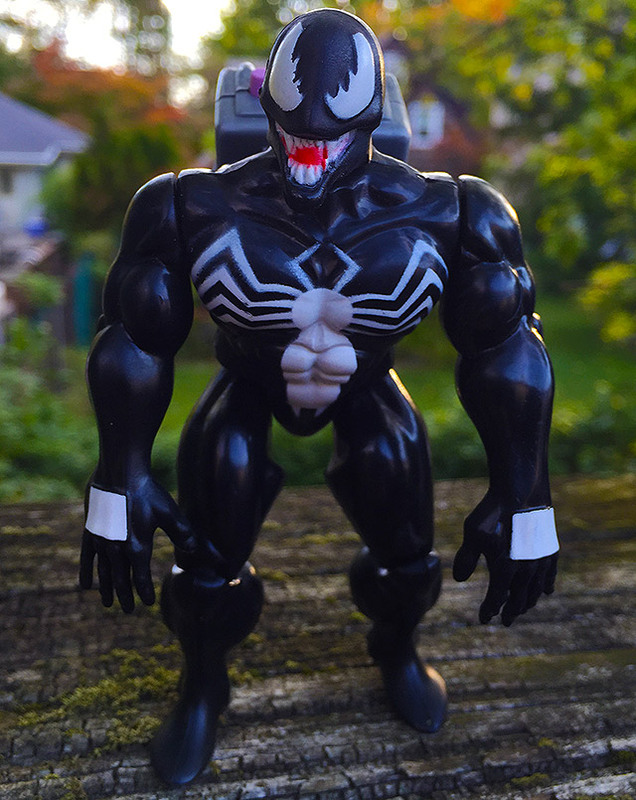 I absolutely loved ToyBiz’s Marvel Super Heroes line, which went hand-in-hand with Marvel Universe trading cards to transform me from someone who was casually aware of comic books into someone who still remembers planet Salaria by name. 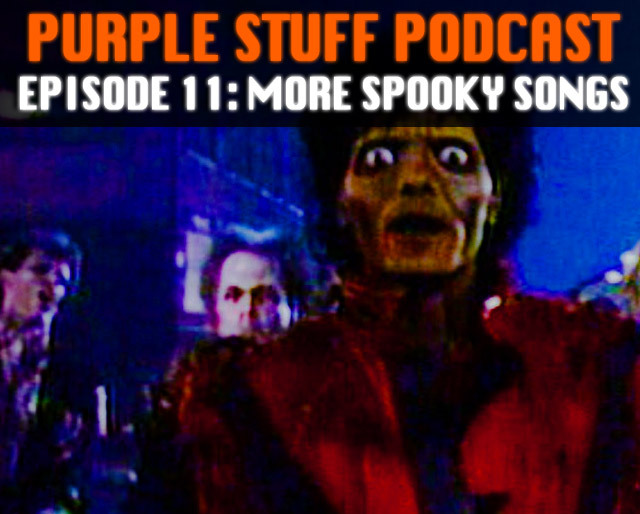 The latest episode of the habitually late Purple Stuff Podcast is now available! We’re mixing oddities with some on-the-nose choices, and if you listen to the whole thing, you might even hear another reference to Brutus “The Barber” Beefcake. Check it out using the player below, or download the MP3 directly at this link. For those who requested a longer show: This one is!